Gmors is a Norsok M-710 qualified manufacturer of o-rings and seals. Complete documentation of material testing, certification and product traceability and quality control records are available on a batch-wise basis. 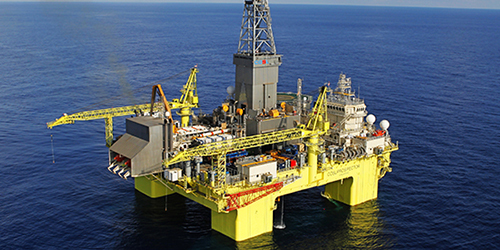 O-Rings and elastomeric sealing materials that are used in the petroleum industry for subsea applications must conform to Norsok Standard M-710. The Norsok Standards define safety parameters with cost efficiency for non-metallic material sealing applications in the oil and gas industry. 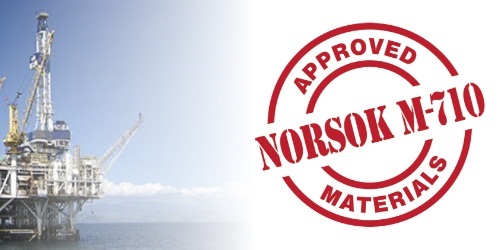 The process of qualification of non-metallic sealing material and manufacturer as provided by Norsok M-710 enables manufacturers to have a thorough understanding of product performance requirements for a given environment. Elastomeric and thermoplastic sealing materials used in permanent subsea installations include valve assembly, control systems and fittings for oil wells. Gmors offers compounds that pass performance criteria for both rapid gas decompression (RGD) and sour gas aging (Hydrogen sulfide) tests in accordance with the requirements of Norsok M-710. Rapid Gas Decompression: Also known as explosive decompression, blistering and rupturing is displayed on the surface of failed o-ring. Caused by absorption of gas into the seal material at high pressure, and subsequent rapid expulsion of the absorbed gas from the material resulting blistering and rupturing. Use of NORSOK M-710 certified RGD resistant HNBR or FKM (Viton) may be the solution. Designing of new profiles and developing suitable materials, and the manufacturing of elastomeric sealing systems for all applications has been the business mission of Gmors since 1981. With over 100 different compounds developed over the past 30 years, Gmors attained ISO-9001 certification and services world class manufacturers who are leaders in their own industries. We employ advanced manufacturing technology, processing expertise and a highly trained workforce to meet our clients ever increasing demands. Visit our manufacturer site for more information.